The two campaigns started with very different assets. Having been through one election process and being the President of the United States, Obama already had an immens amount of fans on Facebook to start with. 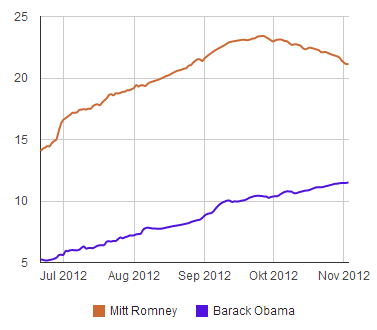 Mitt Romney had a lot to catch up to. With only 2 million fans in June he succeded to increase the number of Facebook fans to more than 11 million to date. 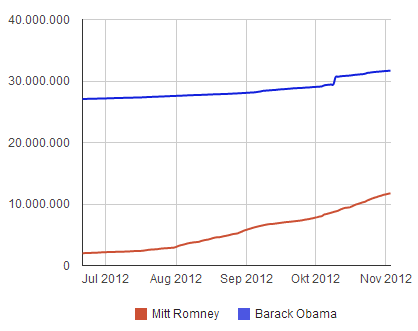 That sounds quite impressive, but still, the gap to Obama’s 31 million fans remains significant. If you look at engagement rates on the Facebook page the picture is quite different. 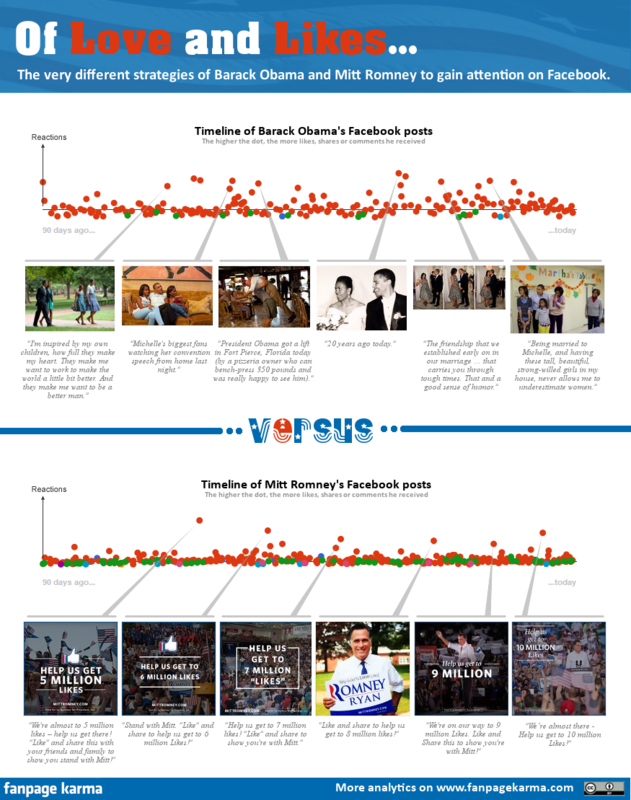 Mitt Romney was significantly more successful in activating his fans to like, comment and share his content. At first, both candidates were able to increase the interaction with fans. This changed at the end of septembre, when Mitt Romney saw engagement rate dropping on his Facebook page while Obama was still able to expand the interaction with fans. It might correlate with the “47%”-speech, that was published around then, or have any other reason. The content published on Facebook by the two campaigns, was different as well. Especially the most successful posts in terms of interaction with fans had very different content as the infographic below shows. Although the Facebook Marketing strategies were different, they were most successful when they had one thing in common: No politics.